Android is on top of the most using smartphone. Android phones have gained a lot of popularity in recent time. The release of phones such as the Samsung Galaxy III and Samsung Note 2 are bringing in countless new users. With this increase in user base, the desire to create better apps has led to tremendous variety. Android apps are shoulder to shoulder with what Apple has to offer. This article will pinpoint some of the best android mobile apps available for users to purchase as well as popular free Android Apps. This is a high quality ‘music player’ app for Android phones. This helps maximize a phone’s ability to play music. The stock music player is outstanding, but often does not meet the needs of audiophiles. Users that are looking to find a better musical experience will have to check out PowerAmp. This app has a lot to offer in terms of intricate combinations of bass and treble. One’s music collection will come to life with this app. It is a must add. The Whatsapp Messenger App is the perfect android app for messaging friends, family and other contacts using your Smart-phone. This app is available for Android, BlackBerry, iPhone, Windows Phone and Nokia phones. Send and receive messages, pictures, audio notes, and video messages using your phone’s 3G or Wifi capabilities. Smart phones have seen a rise in transportation of files from one place to another. There is no use for USB drives or those pesky ‘floppy disks’. The world has moved on and so has technology. File Expert helps users organize and manage their files in timely fashion. The app comes with various features that help maintain files and avoid users losing them. Focusing in on the idea of ‘cloud computing’, File Expert is an excellent exponent of this concept. The design of the app is simplistic for users to understand. This app has been talked about for a while. It is Google’s latest project looking to explore cities around the world and list the best places to visit. It essentially breaks down everything for users looking to find new places to visit in a city. It can be something as simple as finding the nearest coffee shop or the nearest attraction. Whatever the case may be, this app is splendid and a must-have. Moving away from the more ‘serious’ apps and looking at games, Temple Run is king. Most people have started to sway away from games like ‘Angry Birds’, but Temple Run is addicting. This game is a simple game based on running away from the monkeys chasing you. Along the way, one has to collect coins, jump over obstacles and purely survive. A fun game that can help pass time on even the most boring of days. In no time, your own life could become reliant on that dose of Temple Run. If you thought ‘Angry Birds’ was addicting, this is right up there. No matter what the use, you can find countless free and paid apps on the Android Market to suit your tastes. Android apps development is becoming the preferred mobile platform of choice due to the functionality and customizable options available to users. 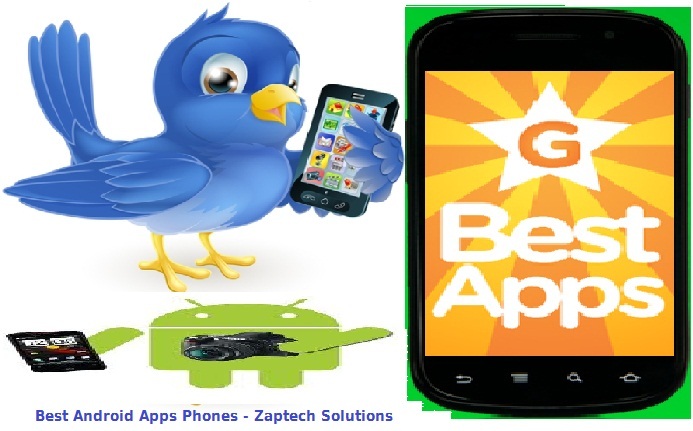 As Android Developer, we offer best Android application development services. It’s no wonder that more and more better apps that compete with Apple’s iTunes are coming out every day. Excellent posting! thanks a lot for sharing useful information.